If you are an investor figuring things out on your own among so many available crowdfunding platforms and Initial Coin Offerings (ICOs), we offer you the support of an army of highest-quality Chartered Financial Analysts (CFAs), as if you were a big investment bank. After the surge of popularity of ICOs, unscrupulous founders are taking advantage of some lack of regulation and disappearing with the raised funds. To help minimise this issue, we offer our DDEcosystem, a new, multilingual, professional-grade platform that dramatically helps both nascent and mature, mid-size businesses to raise financing, while uniting creators and backers of campaigns to form an engaged and well-informed community. Bringing professional investment expertise and crowdfunding together to realize the future of blockchain enabled investments. 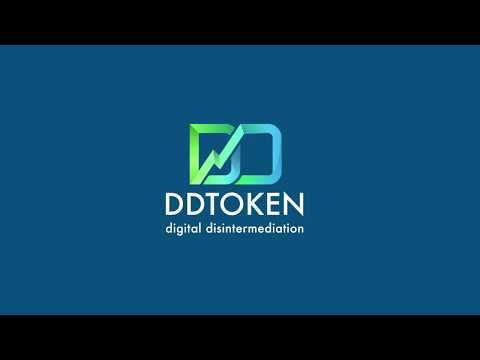 DD is an investment professional grade crowdfunding 2.0 platform with a view to democratize the world of private equity investments. Blockchain is the main catalyst that made our vision technically possible; it gives us the opportunity to build a crowdfunding platform with the blockchain ideals of distribution, resilience, and transparency. DD combines two industries: investments and crowdfunding. Instead of Mergers & Acquisitions (M&A) crowdfunding platforms like Axial we provide access to the expertise of high quality investment professionals, i.e., CFA Charterholders as well as the flexibility and security allowed by blockchain technology. The DD supports three kinds of fundraising campaigns: TGE, crowd investing, and crowdfunding. No other platform has access to the same network of investment professionals while offering a wide variety of options on a nimble platform. A crowdfunding revolution is happening now. Crowdfunding became popular around 2009 as a more democratic means of funding projects, but innovation has languished since then. We are forward looking investment professionals, with a plan to optimize crowdfunding using our expertise. Further down the road we will be working on expediting and enhancing the integration of financial markets with smart contracts via distributed ledger platforms such as R3's Corda Platform.